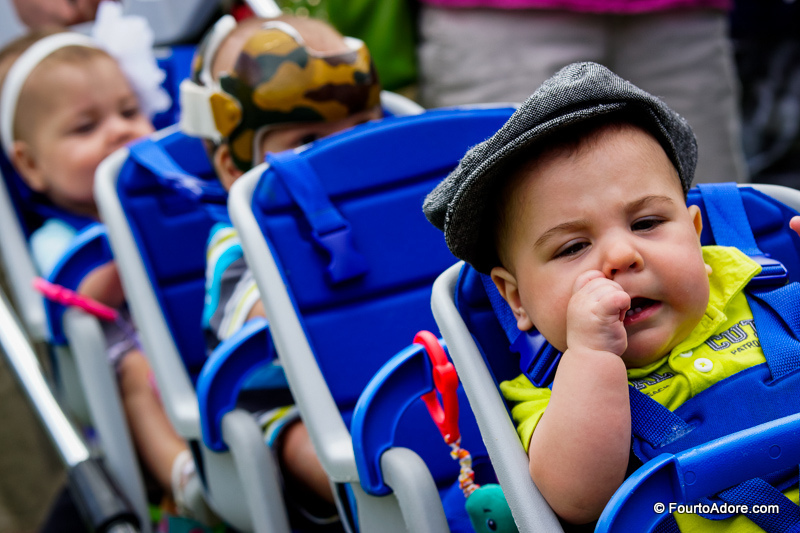 In what seems like an eternity ago, the babies’ NICU nurses often chattered about the day when the babies would be bigger, healthier and returning to the hospital. 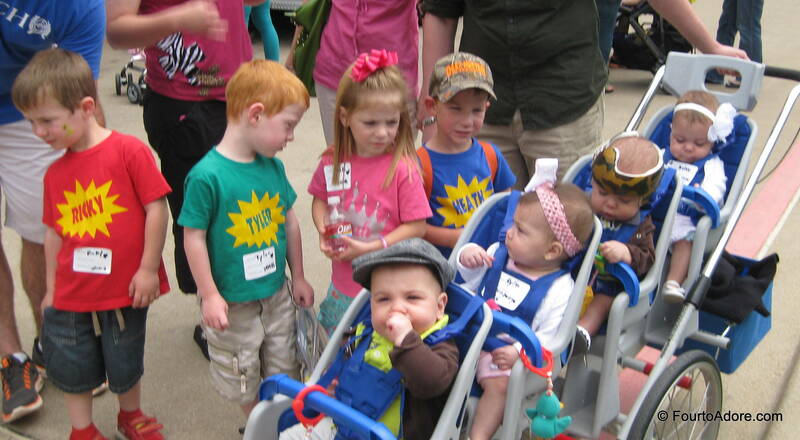 There would come a day they would return to the hospital not as patients, but as visitors for the NICU Reunion. At the time, I don’t think we could see the forest for the trees. 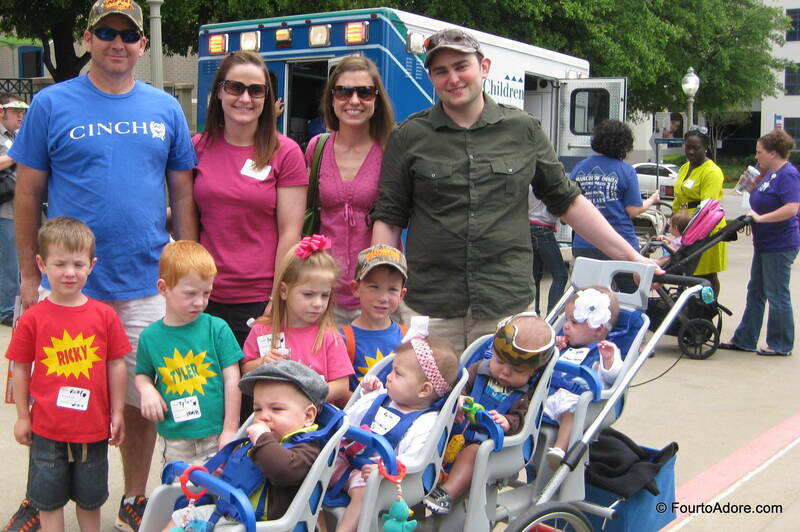 Nine months later, we finally reached that point: NICU reunion time! I was really pleased with the final result. In fact, I hated to part with my little project, it is a cute keepsake. 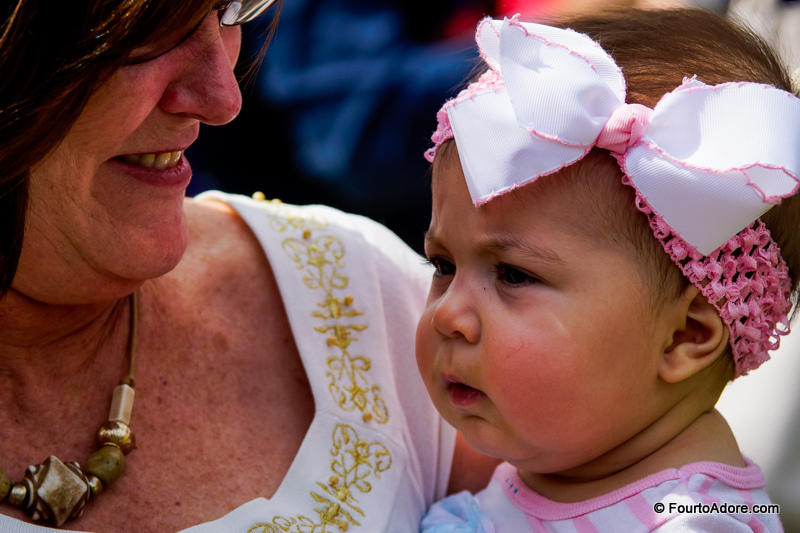 I hope it inspires current and future families with babies in the NICU. 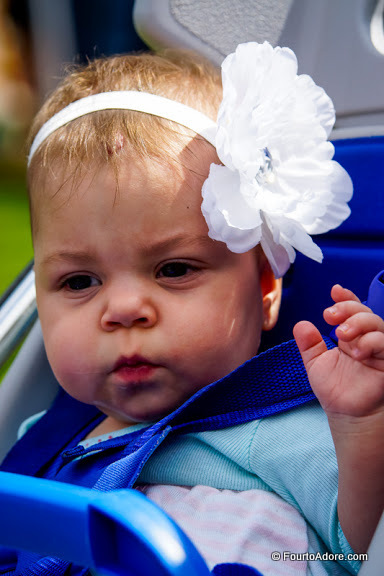 After all, being in the NICU was hard, but we eventually saw the other side. On February 2, 2012 our lives were forever changed by four tiny heartbeats detected on an early ultrasound. We were expecting quadruplets! 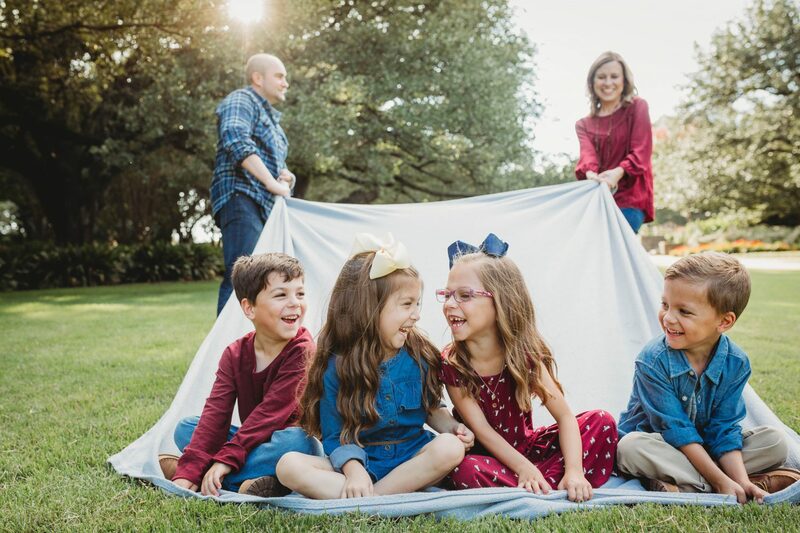 That day we were warned about many possible complications and risks associated with high order multiples, particularly the fact that they would be premature. Instead of worrying, we began preparing. One of the first things we did was research NICU facilities in our area. After a tour of Cook, we immediately decided it was the place for our babies. Not only could they provide us with a private suite equipped for our quads, but we knew they would offer the best medical care possible and a family friendly environment for everyone. 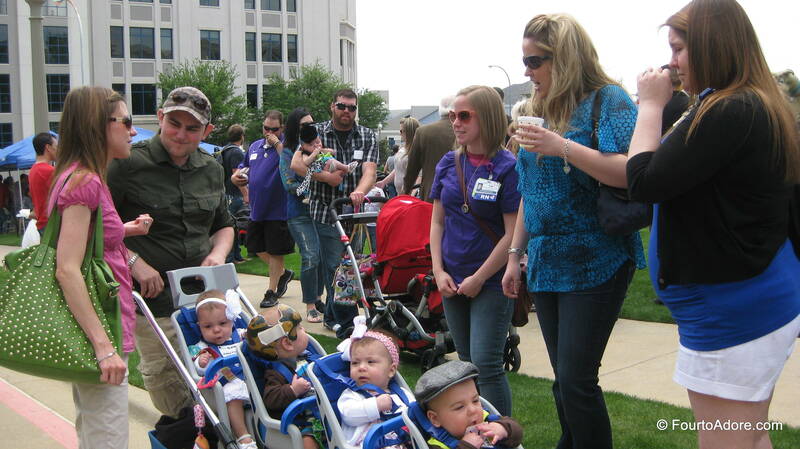 When the babies were delivered July 20, 2012, they were immediately transported to Cook. We later learned the staff was preparing for our babies weeks in advance. Being in the NICU was not always easy. 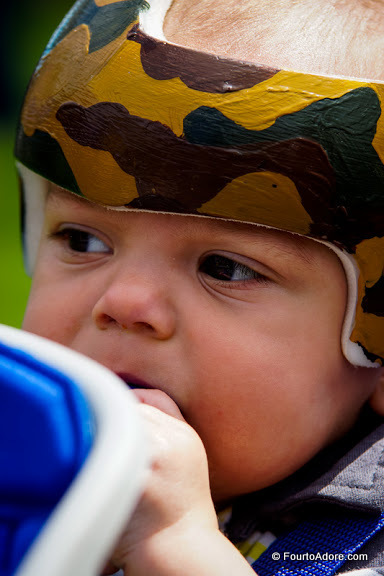 It became taxing seeing our babies so fragile and struggling to tackle seemingly simple tasks such as feeding. It was even more difficult to see them make gains one day and then backslide the next. However, being at Cook made our experience a pleasant one. The babies’ room always felt warm and inviting even though it was indeed a hospital room. All of the nurses, care partners, and staff took time to know us and the uniqueness of each baby. Staff who worked with us could tell at least one thing that was unique to each baby and they championed each baby’s successes. Not once did we leave the hospital worrying about the babies because we knew they were in the most capable, loving hands possible. If our babies could not come home with us, there is no other place we would have left them than Cook. 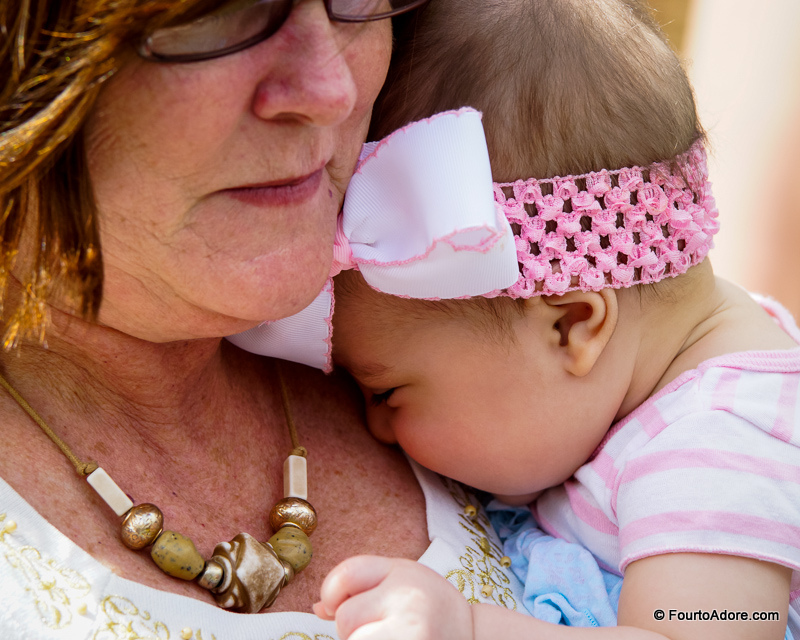 Each morning when we would return for visits, we would find the babies dressed to match their linens and sometimes with notes or pictures taken from our camera. That warmed our hearts. After a seven week stint in the NICU, babies started trickling home. Within a week’s time we found four tiny, yet healthy babies filling our home. At nine months old, it is difficult to believe how tiny they once were. Just like typical babies, they attack new milestones every day. We are now enjoying baby babbles, giggles, teeth, and even some scooting! We will forever hold Cook Children’s Hospital in our hearts as a special place that nourished our babies when they were so small. It took us weeks to find a night primary and we finally found Tiffany. However, she sent the babies home within four days! We were sad we didn’t get much time with her, but were happy to finally be home with all the babies. Some of the babies’ nurses: Kim, Kiki, and Emily got to see how much the babies had grown. George and I with Liz who was one of the babies’ primary nurses. She was instrumental in helping change Sydney’s protocol when she had pneumonia. 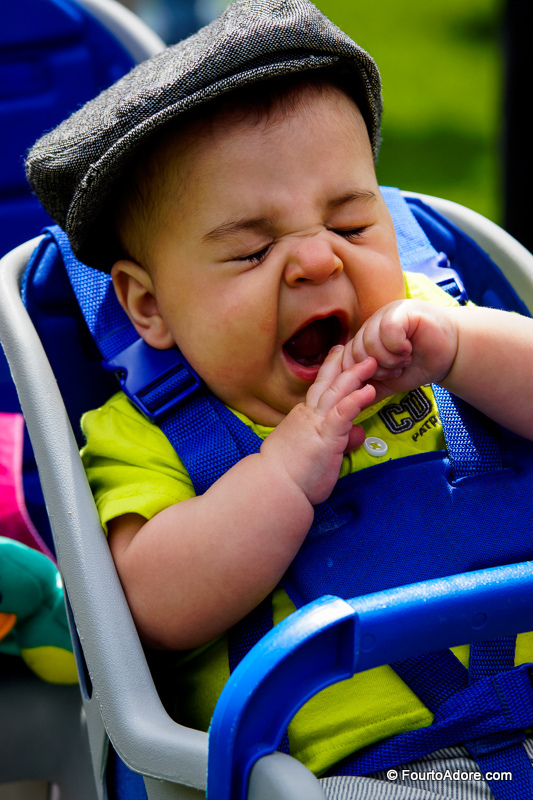 There were several volunteer photographers at the even, one captured these precious photos of each baby. I especially love Harper’s lion yawn. Rylin became a bit fussy so Nisey rescued her from the Runabout. One of the highlights of the reunion was meeting the McClean family. 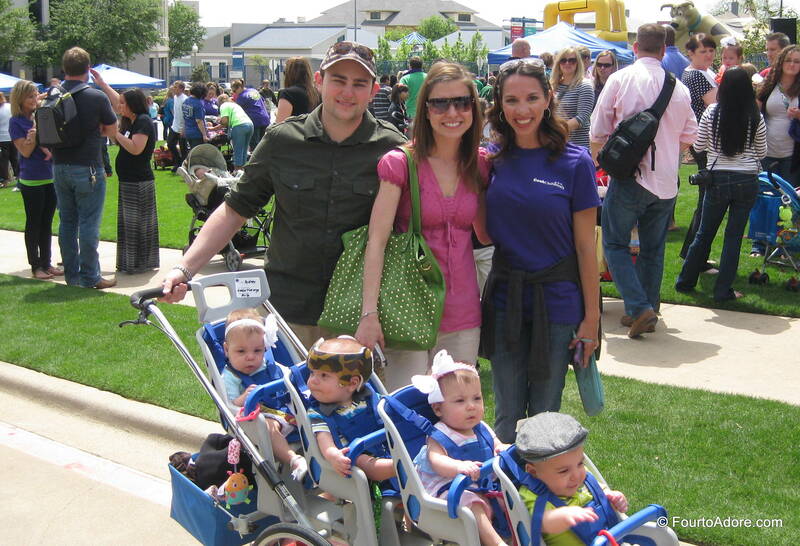 Unbeknownst to me, they were the only other set of quadruplets admitted to Cook Children’s. They are now four years old and too big for a Runabout. I appreciated that the father of the quads told George it got easier for them every year. Sometimes a little encouragement like that goes a long way! The McClean and Shawver clans together! The “big kid” quads checking out the baby quads. P.S. As of now, we are ranked 4th in the Top 25 blogs contest. You can vote for us in just two easy clicks. They’re getting so big! We need to get together and see them soon! Ray has been traveling but this is his last week out of town for a while so perhaps when he gets back?! Amber,one of these days,you are going to have to come & pick me up,when you’re visiting someone down here! Love this! 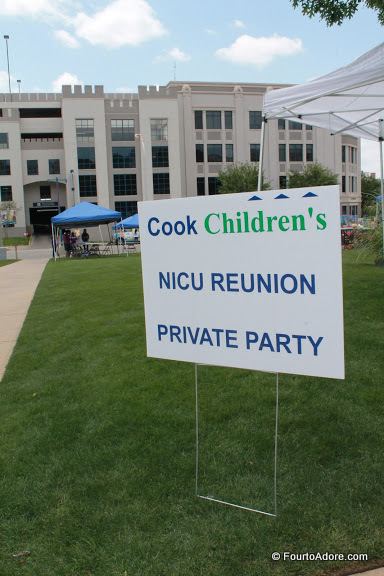 I’m so sad we’ve moved towns and won’t be able to attend our hospitals NICU reunion. It’s something I’d love to be a part of. So cool you got to meet the older quads and even BETTER that they said it does get easier! Thank God! Enjoyed dinner the other night, we’ll have to do it again in a couple weeks. I know, it is so sad you just missed being able to go to yours. 😦 I think it was especially good for George to hear that it would get better. Sometimes you really can’t see the forest for the trees! We had a great time the other night too, and it was refreshing to talk to a couple who can relate to all the chaos that is our life right now. Someday it will be neat for the quads to meet each other too. I bet that was a day full of smiles and hugs. Wish I could have been a fly on the wall to watch. Love how the picture board turned out! 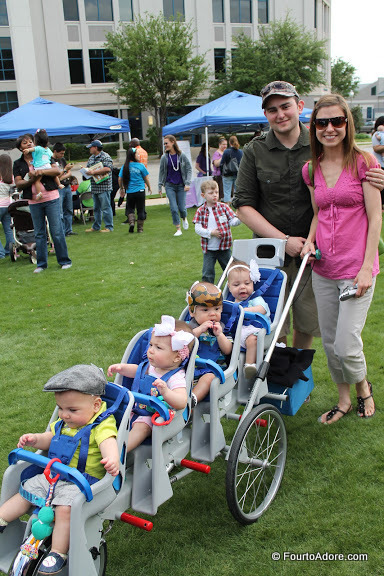 I loved seeing the pictures of the “big” quads checking out the “little” quads, very cute! They grow up way to fast! 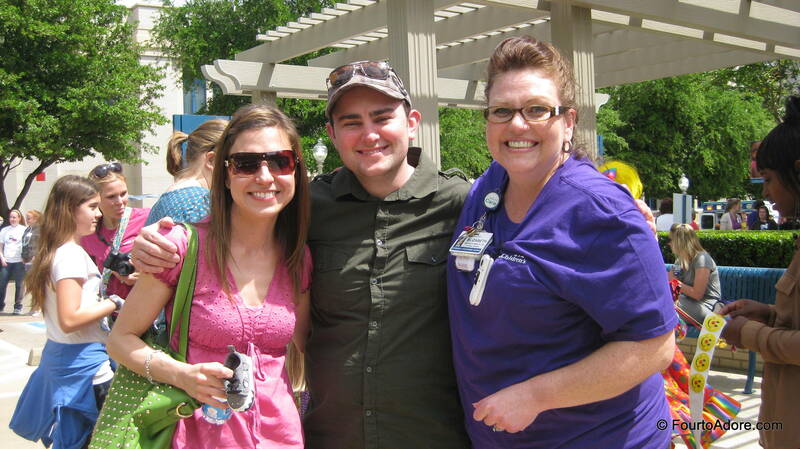 We love going to our NICU reunions every year as well. It is great to stay connected with the doctors and nurses who took care of our itty bittys. It is neat to see all the older kids who keep coming back. There were to sets of triplets that are now 25 at our reunion.